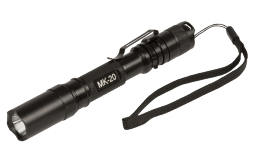 The MK-10 is the perfect portable AA flashlight in a very small size. 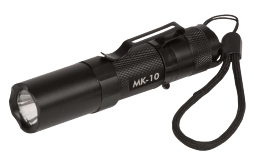 Since an AA battery delivers three times the electrical volume of a AAA battery, the MK-10 offers a brighter beam (Max. 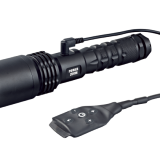 160 lumens) and much longer runtime (Max. 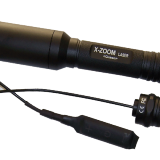 39 hours at low light output) with LEDWAVE’s advanced lighting technology.